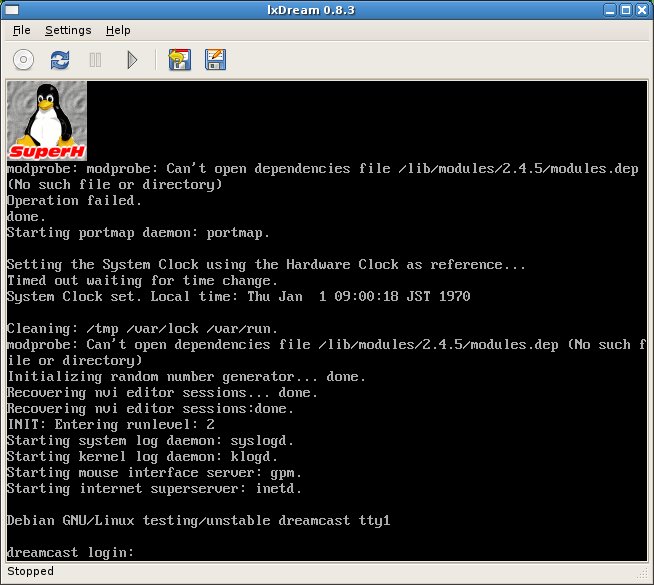 MMU Implementation – As previously noted, linux-dc now runs quite well, albeit slowly. Unfortunately (after the happy dance), it was at this point that I realised I haven’t actually implemented the keyboard yet, so it’s impossible to do anything useful with it. It’s also admittedly painfully slow to start, but I was expecting that (TLB lookup is currently near pessimal). Anyway, working on the keyboard driver now ^_^. Now that the mmu branch is running on all three platforms, I’ve merged it back to the trunk. Which is not to say that it’s _finished_ (it still doesn’t fully boot linux-dc), just that it doesn’t break anything that was previously working (to the best of my knowledge). I’ve also working on some preliminary joystick/gamepad support (linux /dev/input/js*) – the driver itself is nearly trivial (the linux input interfaces are pretty nice), but I need to refactor our input event handling a little (currently it expects all input events to come from the UI). Hope everyone had a good christmas ^_^.